From Howard County, Maryland at the north end to Alexandria, Virginia at the South, we serve the DMV area with exceptional interior and exterior home renovation services. Being locals to Washington DC, we know the area, and its residents, better than most of our competition. Understanding the climate, the trends and client expectations as well as we do, we provide knowledgeable service backed by exceptional craftsmanship and building skills. If you’re not sure if you reside in our service area, simply contact us. If we can’t find a way to take care of your home improvement needs, we’d be happy to refer to a trusted professional who can. At Capital Property Professional Services, we take great pride in providing premier home improvement services to people across Washington, DC. Whether you’re interested in remodeling your bathroom or shower enclosure, our staff is highly skilled in residential construction projects, and we would be happy to help. We proudly serve Beltsville, Laurel, College Park, Greenbelt, Lanham, Bladensburg, Bowie, Clinton, Brentwood, Riverdale, Capital Heights, Hyattsville,Upper Marlboro, and beyond. If your home has foggy windows or your window glass needs to be replaced, you can count on our professionals to get the job done quickly. New windows can upgrade the entire look and functionality of your home (not to mention they can improve energy use and boost your home’s value). If you live in Fort Washington, Oxon Hill , Suitland, Rockville, Silver Spring, Bethesda, or Jessup and you’re looking for a window repair and replacement specialists, call Capital Property Professional Services today! Are you tired of the outdated bathroom in your master ensuite? Are you looking for a way to add substantial value to your home without paying an arm and a leg? If you answered yes to these questions, you may want to consider upgrading to a new shower enclosure. As professionals in glass shower enclosures, our company can help you make the most of your bathroom space by using the best modern luxuries on the market. As the preferred remodeling company in Washington, DC, we promise to provide prompt and friendly service to each and every one of our customers. When you make the big decision to remodel your home, you should find a remodeling company that has years of experience. At Capital Property Professional Services, we have more than 25 years of experience in the remodeling and renovation industry, and we specialize in interior and exterior living spaces. Whether you need assistance with tile design and installation, drywall installation, painting, or lighting, we’ve got you covered. When you need general contractor services in Chevy Chase, Columbia, Gaithersburg, Kensington, or Germantown, contact Capital Property Professional Services today. While we specialize in bathroom remodels and enhancements, shower enclosures, and window repair and replacement, we also offer general contractor services across Washington, DC. When you work with us, we’ll oversee the day-to-day operations of your renovation project to ensure everything goes off without a hitch. We’ll screen each and every building partner to make sure you have the highest quality craftsmen and women working on your home. 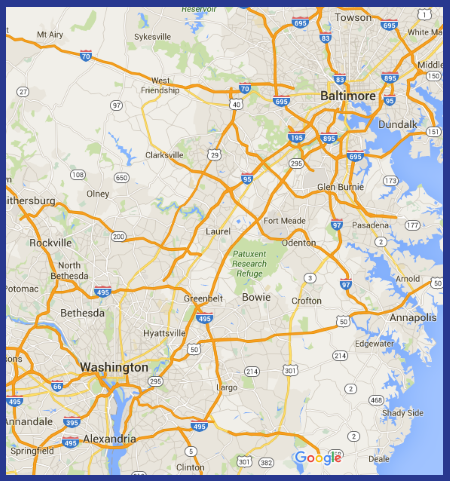 We also serve Hanover, Odenton, Crofton, and Potomac.